No one wants a home that looks like it could pass for the neighborhood’s official haunted house. Unfortunately, all it takes is some bad—and unsightly—roofing to tarnish your home’s reputation. Asphalt shingles are just one roofing option worth considering to improve your home’s curb appeal. It’s an affordable option with a range of benefits, and when you get it from GAF, you get the assurance of high standards. Peak Roofing Contractors looks at GAF’s asphalt shingles and explain why these are worth checking out. One of the things that makes asphalt shingles a very popular option for Virginia roofing is that it’s very affordable. The upfront cost for these roofing materials is low—making them viable for full replacements. Adding to the lowered costs is the ease with which asphalt shingles are installed—helping you save on labor costs as well. The best part is that this material doesn’t compromise when it comes to quality. 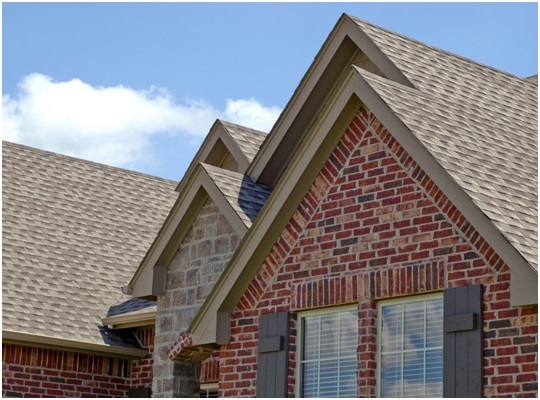 We carry GAF’s Lifetime Roofing Shingles, which maintain the affordable price point while benefiting from GAF’s legendary durability and complimentary support systems. GAF stands out in Northern Virginia roofing because it includes all the necessary supporting accessories with its asphalt shingles. This includes a leak barrier to ward off damaging moisture, roof deck protection for the underlying support structures, and Cobra® Attic Ventilation to keep your home cool and well-ventilated. Even GAF’s most basic budget shingle option—the Three-Tab—looks great with its tidy patterns and range of colors to choose from. You’ll be hard-pressed to tell they’re budget because they protect as effectively as premium shingles. Speaking of premium, GAF’s higher-end Timberline®, Specialty, and Designer lines of asphalt shingles come in a diverse range of designs and even more stunning colors that can make your home stand out. To maximize on curb appeal without compromising on other important benefits like durability and protection, invest in GAF’s asphalt shingles through Peak Roofing Contractors. Give us a call today and we’ll help you get a new roof that you’ll be proud to have.